It’s hard to believe that it’s been 4 years since we opened our boutique on 18th June 2010 & what an amazing birthday week we’ve had! 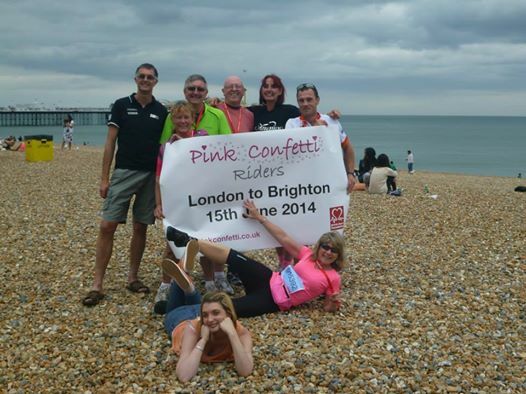 Our week started with our ‘Pink Confetti Riders’ completing the 100k bike ride from London to Brighton, raising £500 for the British Heart Foundation (well done to all & don’t worry the pain will go eventually!). Our contribution to charities is a particular focus for us so this was an amazing achievement – continuing our support for Cancer Research watch out for the ‘Pink Confetti Runners/Strollers!’ taking part in the ‘Race for Life’ in the next couple of weeks. We’ve received so many lovely birthday messages over the week that make us realise just how many wonderful people we have met over the last four years! Gaining recognition and industry awards is fantastic however our greatest reward is the wonderful thanks and feedback we get from our brides and their family’s – we are constantly overwhelmed by the amazing comments we receive. Saying this, we are delighted that we have again been nominated as Best Bridal Retailer (East Midlands) in The Wedding Industry Awards! Having been shortlisted as regional finalist for the last two years we are hoping to go a step further this year and reach the National Finals – as well as being a fantastic night out it would be a great opportunity to thank our amazing families and friends for their tireless support and encouragement. Finally catching up with the 21st century our new responsive website went live this month and we are thrilled with the end result – just in time to showcase our homage to the World Cup – perhaps England could even reach the final if they played in these! Whilst always planning for the future our birthday is a perfect time to look back and reflect on all that has happened over the last 4 years and when we do, it’s no surprise that, it feels like no time at all! With nearly 400 weddings under our belt (not including those where we just provided accessories) we feel we can confidently say that we have gained a little experience – although we learn something new virtually every week! Over the last four years (amongst other things) we have been featured on TV; sponsored a production of ‘The Wedding Singer’ at the Curve Theatre, Leicester; hosted and participated in several catwalk shows; organised our own Wedding Fair (in a marquee; in a monsoon; never again!) won two supplier awards and raised over £1500 for various charities. 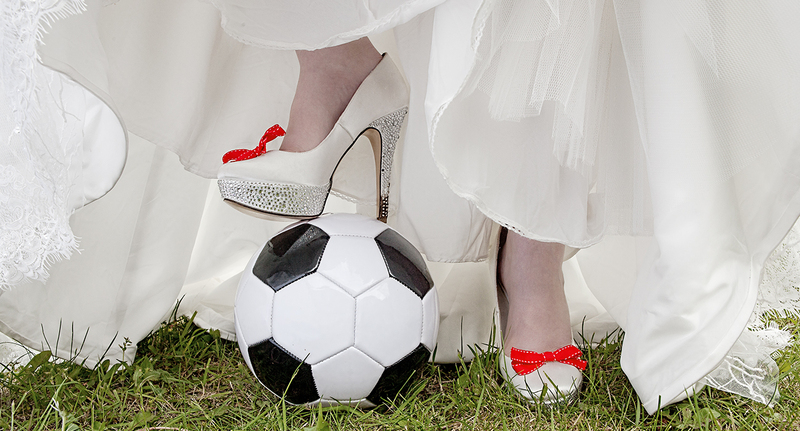 We have developed a real passion for wedding fairs and exhibitions (mad we are)! Local events give us a great opportunity to meet lots of excited brides and chat to them about their plans and after two years attending the National Wedding Show at the NEC we will be back there in October! Details of all the events we attend are on both our website and Facebook page so why not come along and see us! It’s difficult to sum up four years in a few words and to describe our journey so far but we are immensely proud of what we have achieved and eternally thankful to our customers, suppliers, friends and families. 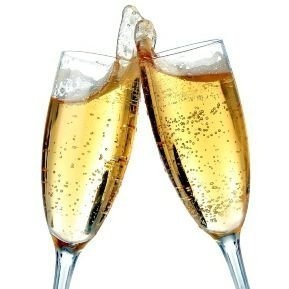 Here’s to the next four years and beyond!